While the MCG boasted record numbers at last night’s state of Origin, the NRL’s social media team was making records of its own. 6.5 million unique users were active on the official Origin Facebook page on the day of the series’ second game. #Origin was the number one trend in Australia and New Zealand, and reached the number three ranking globally. Last night, more than 120 countries engaged with #Origin on social media. More Australians follow NRL on Facebook than any other global sport, with its official Facebook page reaching 1 million fans last night. The most talked-about players were Paul Gallen, Greg Inglis and Aaron Woods. 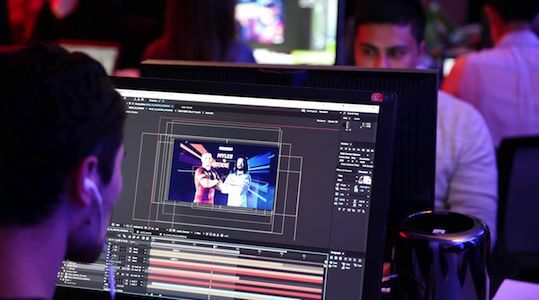 A team of around 15 people sat in the NRL’s ‘mission control’ room monitoring and engaging with millions of fans on Facebook, Twitter and Instagram all around the world. ‘Mission control’ launched during the Origin series in 2013. 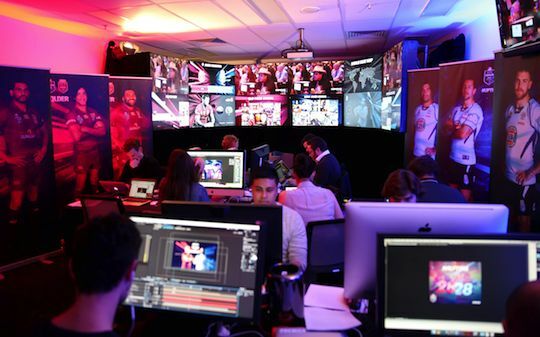 Inside ‘mission control’, people are divided into three teams: the Queensland social team, the NSW social team and the NRL social team. Each team is then broken up into the strategists, the creative team and the community managers. In a process that usually takes about five minutes the strategists use the NRL’s insights software to make a decision about who to engage with. They give a brief to the creative team who create the custom content and pass it on to the community managers. The content is similar to that which shows up on TV, but optimised for social media. Once the community managers approve the content they send it out. A video team is also added to the mix to help get replays and screen shots from the live feed to share across social in real time. Australian Rugby League Commission digital and social media manager Matt Henry says they’re trying to move as quickly as possible in an effort to engage with as many people as possible. “We’ve got a list of influencers who we try and proactively engage with, people with a high following on social that have an interest in NRL,” Henry says. Henry mentioned Dwayne “The Rock” Johnson, Shane Warne, Brett Lee, Joel and Benji Madden, Tim Cahill, Hugh Jackman, Kevin Rudd and Beau Ryan as just a few of the NRL’s influencers. “We’ve even got a couple of the Harry Potter cast members that are regulars that just seem to like Origin, so we engage with those guys all the time,” Henry says. Henry says that while they keep improving ‘mission control’ they’re not currently looking to grow the team any further. During the game the teams monitor the social feeds of the most mentioned Origin players. They aggregate all the fan content so that they can monitor and cater to the fans. One of the ways they do this is through an app on Facebook that allows fans to put their names on the back of a jersey. 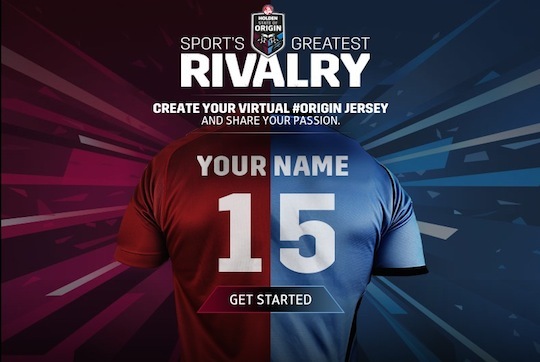 In the past year, more than 250,000 fans have created these virtual personalised Origin jerseys. Currently the NRL is focusing its attention on Facebook, Twitter and Instagram. “We’re working on Pinterest and Snapchat strategies but for now, with the scale of the conversations, we really need to be fully prepared when we jump in,” Henry says. On one of the many big screens in ‘mission control’ is a map of the world with lights representing where in the world conversations are taking place. “Throughout the game New Zealand, all the islands, Fiji, US, Canada, South America all tends to light up. Egypt is always really keen on Origin for some reason. We have people from Jamaica, Morocco, Ethiopia all engaging in this,” Henry says. While these days a lot of businesses and brands put a lot of energy into their social media and content marketing, Henry says that when they set up in 2013 they were among the best, even with comparison with overseas sports. “We sort of just try to innovate with the content and the fact that we own such a great brand, and the fans really love that content means we’re in a good position,” Henry says.